In the world of Muay Thai, the Muay Mat style is arguably the most beloved style among fans of the ancient art and combat sport. 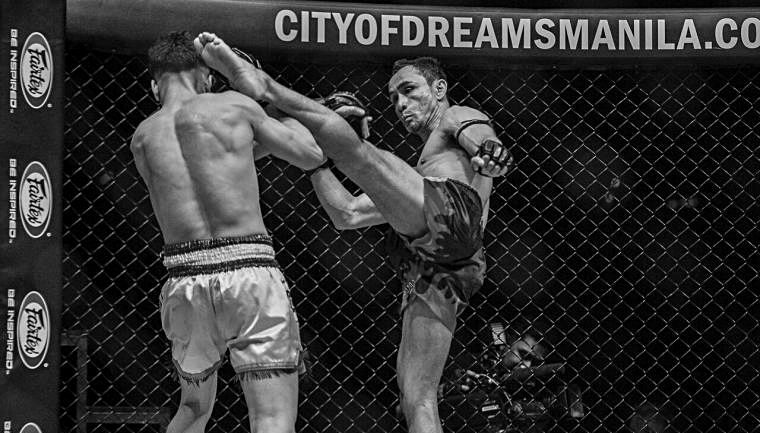 The style relies heavily on punches and low kicks fueled by relentless aggression and forward pressure. 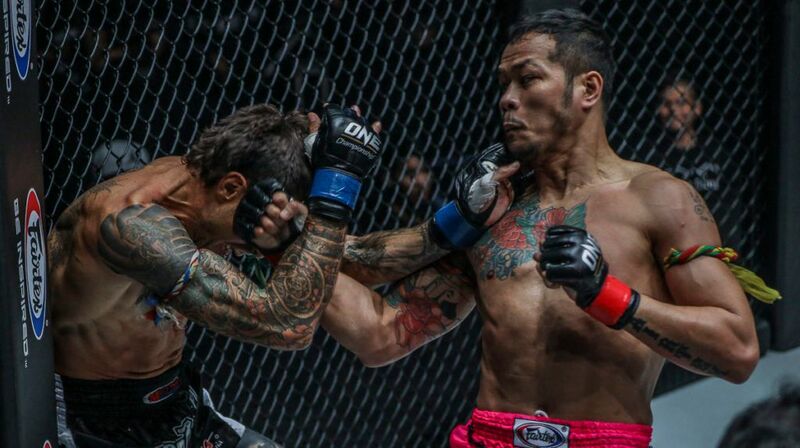 An always impressive combination of heart, ferocity, and an unrelenting will to fight; Muay Mat stylists are most effective when pressuring forward and in close exchanges; looking to damage and break their opponents down with devastating low kicks and heavy punches to the head and body. 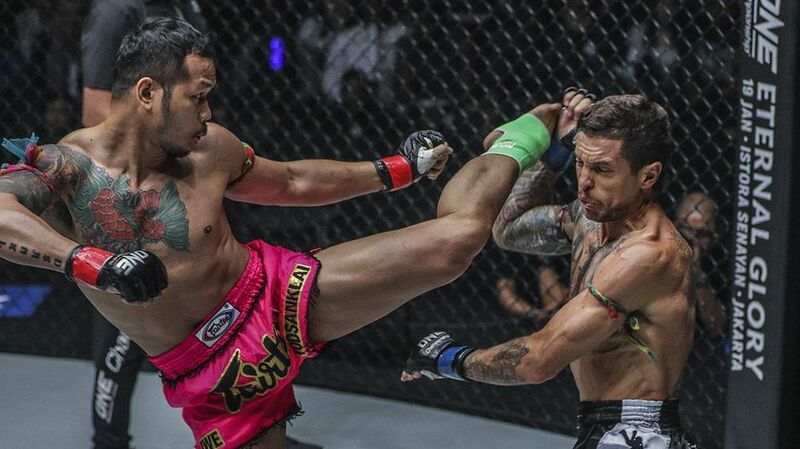 Which explains why fighters who adopt this style are usually very popular among fans; they never fail to provide thrilling exchanges in the ring and an exciting pace to the fight, especially when up against fellow Muay Mats. Some of the greatest Muay Mat stylists include Sagat Petchyindee, Coban Lookchaomaesaitong, Tongchai Tor Silachai, Ramon Dekkers, and Anuwat Kaewsamrit. And if you’ve ever watched any of these great fighters’ fights on video, or even live, then you can imagine how incredibly difficult and intimidating it must be to have to deal with a style that is fueled with such intensity. As we’ve mentioned and discussed in many of our other guides to combating fighters of various styles – in your progress and journey as a Muay Thai practitioner (training and sparring etc.) you’ll find yourself gravitating towards and developing a style that works best for you due to factors such as how you are naturally built, not just physically, but mentally as well. And every style, however unique, can be generally categorized under the three common, yet distinct styles of Muay Thai. The three styles are the Muay Khao, Muay Femur, and of course, the Muay Mat. 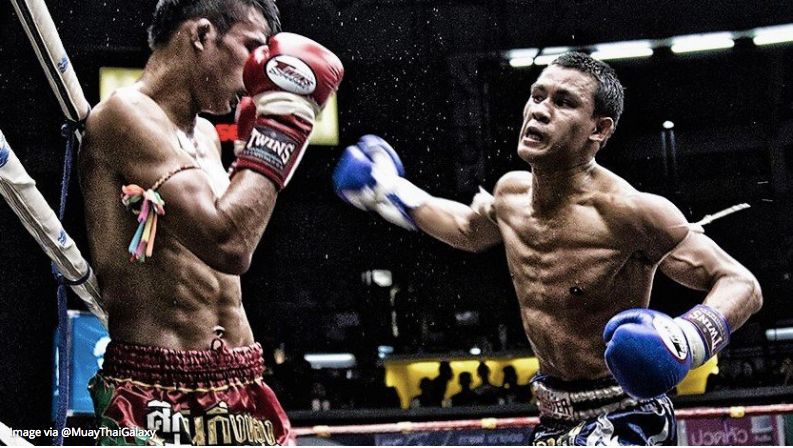 If you wish to read more about the styles of Muay Thai, click here. In going up against a Muay Mat stylist, it is crucial that you first understand the style that you have adopted. Doing so will not only allow you to better understand how your style should be used effectively against a Muay Mat, it will also help you to do the same against any other style you ever have to deal with in the ring. In other words, there really isn’t a one set answer or fool-proof approach to fighting a Muay Mat; what works against a Muay Mat for one fighter with a certain style doesn’t necessarily mean it would work for another or even for you. 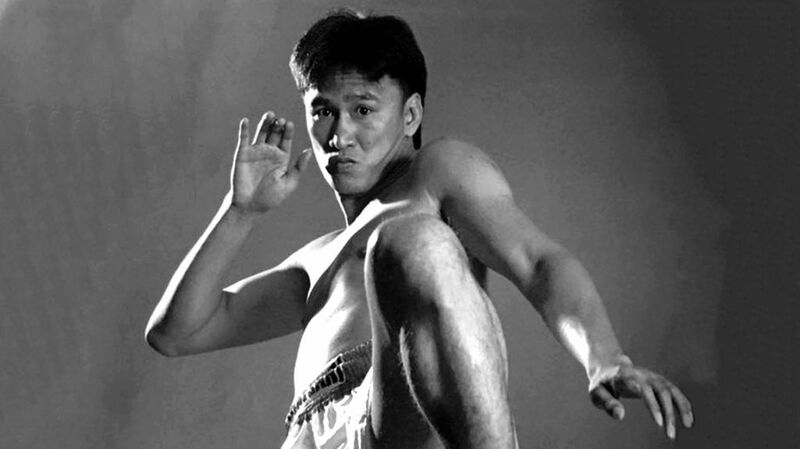 And whether you’re a Muay Khao, Muay Femur or Muay Mat fighter yourself – you will have to find and apply only the approaches, tactics, and techniques that are most appropriate for your adopted style. For example, if you are a Muay Khao fighter, you shouldn’t fully rely on an approach used by a Muay Femur or even a Muay Mat fighter who was highly effective against a Muay Mat. Though it would be beneficial to take into consideration what was good about the approach, tactics, and techniques used by that successful fighter, you should first look to examples set by fighters who have adopted a style similar to yours who have been successful in dealing with a Muay Mat stylist, as the approach used by him/her would very likely come more naturally to you. Another important consideration we have also discussed and mentioned about in our other guides is understanding the type of Muay Mat you are facing. This is an important consideration because every fighter is unique, and so, every Muay Mat you face in the ring will very likely differ from the last in terms of how he/she uses the style. And though it goes without saying that while Muay Mats generally excel in close quarters and pressuring forward, it is also logical to expect that most, if not all fighters will excel more in certain aspects and not as much in others regardless of what style they use or what they specialize in. This is because every fighter’s body and mind is built and trained differently. What this means is that, if possible, you should always try to study and understand the type of Muay Mat you about to face in the ring. Understanding the type of Muay Mat you’re facing will help you prepare and shape your game plan and approach against that particular Muay Mat. For example, if you know that the Muay Mat you are facing has shown a tendency to overcommit to his/her punches, then luring him/her to throw big shots so that you can capitalize on those missed shots to land good, crisp counter punches is an approach worth considering. But if the Muay Mat has shown a great ability in his/her boxing, then perhaps you should play it smart and work from the outside using your kicks or even force the clinch to avoid punching exchanges as much as you can. Applying the first two considerations listed in this article will definitely also help you in applying the tips provided below to help you combat a Muay Mat stylist. As mentioned, Muay Mats generally excel in moving and pressuring forward constantly, aiming to overwhelm their opponents by swarming them with strikes. This is why it is crucial that you move well in the ring laterally, using angles as well. This is to intelligently nullify and avoid the forward pressure from the Muay Mat as often as you can which in turn reduces the amount of damage you receive. Using good defensive footwork to pivot and move at angles is a much more efficient way to avoid incoming attacks. Not only are you cutting short the amount of effort and time needed to move away safely from incoming strikes as compared to moving back in a straight line, you are also potentially placing yourself in a position to counter with significant strikes (see next point) while your opponent is not in a position to throw anything back. To do this well, you need to remain calm, work on your ring awareness, and focus on pivoting well instead of always moving backwards in a straight line. And even though cutting and moving at angles is more effective than moving back in a straight line, there is still a risk of getting caught with strikes as you move, especially against more experienced and skilled heavy punchers. So be sure to focus on keeping your guard up and being ready to block incoming strikes even as you move. Making the Muay Mat chase you by using angles and moving well can frustrate him/her and also open up a lot of opportunities for you to counter as well; which will keep you active in the fight and help you score well in the aspect of ring/action control and effective striking. This is why you need to work on your ability to counterattack with every single weapon available to you even when you are moving away from your opponent’s attacks by moving backwards, laterally, or at angles. And while almost every fighter is well-versed in pushing out offensive while moving forward, not every fighter knows how to fight while moving backwards. In Muay Thai, having the ability to fight and counter while moving defensively is one of the most important skills you can have against any opponent, especially against a Muay Mat or even a Muay Khao. This is because if you are looking to avoid the offense and pressure of a Muay Mat, you will most likely be forced to move defensively away from the oncoming punches, kicks, elbows, and knees. Without counterattacks being executed while moving away, you will be missing out on the main bulk of opportunities for you to score against any Muay Mat in a fight. Not only that, you will allow the Muay Mat to advance without any hesitation or worry about incoming attacks or losing out on points. This would give the Muay Mat a ton of confidence in the ring and in his style against you, which is definitely not something you would want him/her to have at any point in the fight. Muay Mats are aggressive and can churn out a large amount of strikes consistently throughout a fight. And more often than not, those strikes come with a lot of force behind them and have the potential to hurt you badly if they land clean. This is why when facing a Muay Mat you need to guard and block well. This is perhaps the most basic way to nullify the effect of the Muay Mat’s large output of strikes. Blocking effectively also has the potential to tire out the Muay Mat eventually as well. And no matter how good you are in dodging punches and moving well away from a Muay Mat, there will still be times where you might be forced into a corner or against the ropes where all you can do is to use your limbs to defend against the barrage of incoming strikes. So be sure to work on your guard and the right blocking techniques to use against every strike in the game. Combining this with good footwork and head movement would no doubt make it incredibly discouraging and tiring for the Muay Mat who has to fight you. If avoiding incoming attacks with good blocks, head movement, and footwork isn’t working out for you, perhaps limiting the attacks with effective clinching will be a better option. Using the clinch is arguably the safest and most fool-proof way to deal with a Muay Mat. This is because working in a tight clinch will completely nullify the Muay Mat’s strong suit – which is to pressure forward relentlessly with strikes. It is also important to note, however, that a Muay Mat can be very aggressive and effective with offensive pressure in the clinch as well. This is why you need to be sure to condition yourself physically and work on the clinch so that you know how to nullify the output of aggressive strikes in the clinch first before applying this approach. The best way to force the clinch is to engage after an attack instead of moving in while the opponent is timing and reading your entry. One way this can be done is to bait the Muay Mat to overcommit to his/her strikes – which would leave him/her off-balance or leaning forward after missing – and then grappling him/her into a clinch. Another way is to simply wait for your opponent’s attack, avoid them with good head movement and footwork, and force the clinch. As mentioned, a Muay Mat is constantly moving forward and swarming their opponents with powerful strikes. Moving forward and generating power consistently will require a Muay Mat to lean most of his/her weight on whichever the lead foot moving forward is in order to direct the entire body forward – as it is with regular walking or running as well. As someone facing a Muay Mat, you can use this to your advantage. Because of the weight channeled to the feet, using swift low shin or ankle trips can set your heavy-hitting opponent off-balance. This is because if caught off-guard, the weight invested into the lower body will cause them to lean unexpectedly forward or diagonally sideways in an attempt to reestablish their balance. And as your opponent is set off-balance, landing a counter attack or moving away will come a lot easier. The best time to use ankle trips is just as your opponent is advancing straight in or throwing his/her punches. The commitment and weight put into moving forward or throwing a punch will increase the degree to which they will lose their balance, so be sure to time your shin or ankle trips well. GET YOUR VACATION PASS NOW! In the world of combat sports, there are fewer qualities as important as timing. This is especially true in Muay Thai, which is typically competed at a much higher pace than most other martial arts….